To wax, or not to wax - that is the question. Shakespeare probably wasn’t into waxing but the age old questions remain as to whether the results of waxing are worth the cost and effort and where Doing-It-Yourself is feasible. Having finer, softer and lighter coloured hair and smoother skin which remains hair-free for 3 to 4 weeks are clear benefits. And with regular treatments hair reduction can be long-term. That said there can be a degree of discomfort in more sensitive areas or during your first treatment and you do have to wait for hair to grow back so it’s long enough to be removed again. Attempting it at home involves melting the wax in a microwave or hot water. If you don’t get the temperature just right you can end up stuck and bruised and some areas are hard to reach. So, it’s often best to enlist the help of a professional. Waxing is equally effective with light and dark hair: whether you are a redhead, blonde, brunette or grey haired, you can go without tights, slip into a sleeveless top or a swimsuit confident you'll be hair-free for up to 4 weeks. You can always step up to laser or IPL to accelerate hair reduction but do remember that you shouldn’t wax in between these treatments as they act on the hair root which in waxing is pulled out. Shaving and depilation are suitable as the hair removal is only superficial – that’s why with these techniques hair reappears faster to come through. Waxing is equally effective with light and dark hair: whether you are a redhead, blonde, brunette or grey haired, you can go without tights, slip into a sleeveless top or a swimsuit confident you'll be hair-free. The most popular body areas women wax are leg (half or full), bikini (going as far as Brazilian and Hollywood) and under- and forearms. Facial waxing tends to be used to shape eyebrows and on the upper lip, chin and cheeks where the growth is hormonal. 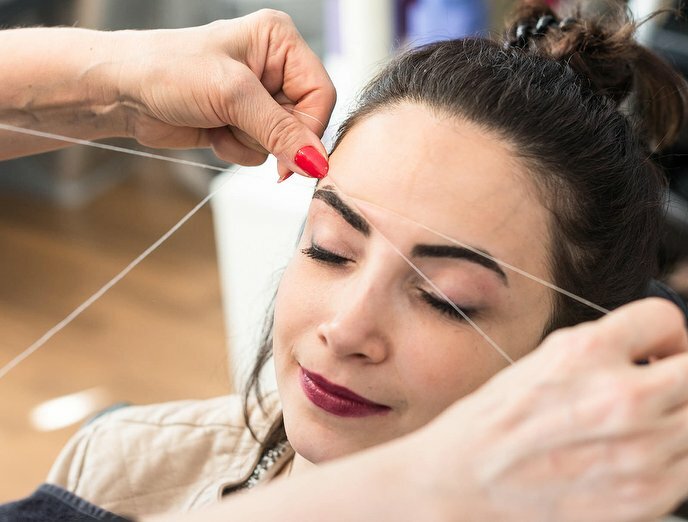 Threading is an alternative now available in many shopping centres and department stores as well as beauty salons. Amongst men, waxing is no longer the preserve of male models and sportsmen, whether it’s used to create a smooth chest and highlight muscles, remove hair as it crawls off the head and down the back with ageing or the rather obviously named ‘back, sac and crack’ for the look and feel of genital areas. Specialised waxes are available for facial hair and other sensitive areas. You might be given a choice between lycon and strip wax, be able to pick from a range of colours and scents or offered the alternative of sugaring which dates back thousands of years. After your treatment you’ll usually be offered a lotion such as aloe vera to soothe the skin and reduce inflammation. About a week after waxing regular exfoliation can reduce the risk on the odd ingrowing hairs. There are also various hair reduction ointments which can be applied. Whether it’s for aesthetic or hygiene purposes, smooth skin or hair eradication waxing is the most common form of full hair removal. There’s the whole host of treatments and a (delete a here) every type of salon available on Treatwell. Where will you start with hair removal?